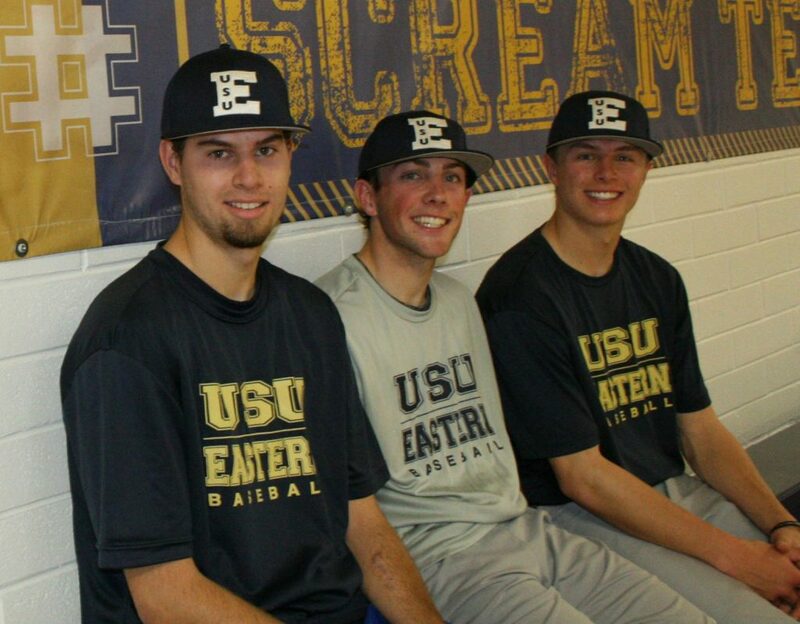 Some athletes grow up trying to find the sport they were meant to play, but for Derek Young, Dakota Cisneros and Bryce Blackburn, baseball found them. Price has always been known for its successful baseball program and winning traditions, and these three athletes took advantage of this baseball wonderland their whole lives. It all started when Young, Cisneros and Blackburn were invited to play on the same all-star team when they were just eight years old. Playing for the Carbon Cobras, this team traveled all over Utah playing against some pretty stiff competition. Blackburn, second basemen, cherished these days, “I loved traveling to St George; we had a great time rooming in the hotels together and having a strong support from our families.” This was only the beginning, for the next six years these three played baseball every year together. After playing little league, they were asked to play legion ball for the Helper Merchants. This was an exciting time for them. Young, pitcher and first basemen, express his love for legion, “I loved playing in Helper, just being around your friends all the time, playing with your friends all the time, it’s as good as it gets.” Because of their hard work and dedication, they were able and play under the lights in Helper, at Merchant Field and win a state championship. As time progressed, so did these players. All three played for the Carbon High Dino’s. Carbon High School has high expectations for their baseball program every year; Cisneros, right fielder and infielder says, “It was expected to be the best sport in the school because of the community.” Competing in state almost every year, they had the opportunity to play on big fields such as Kerns, Utah Valley University and Dixie State. Growing up in this baseball community has brought countless memories to these three players. Cisneros has loved every minute playing in Carbon, “Everyone wants us to represent Carbon well, how we play as players reflects on our community. It’s helped us throughout our lives; we want to play well for those people in our community”. As these three carry Price’s baseball tradition onto the next level, their example will continue to shine throughout Carbon, setting the stage for other players to continue the legacy of excellence in the sport that they love.